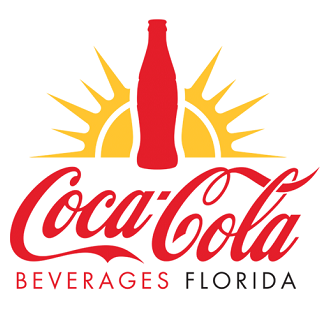 TAMPA, FL: Please join us in welcoming Jay P. Zavada as the new Vice President of Marketing for Coca-Cola Beverages Florida. Jay will bring to this role a broad base of diverse marketing expertise. Jay’s experiences in translating consumer insights into compelling marketing strategies, leading large teams and critical company initiatives, driving innovative organizational thinking, and building cross functional collaboration will provide important direction as we achieve future growth goals. In this role, Jay will be leading a team responsible for launching breakthrough marketing strategies and programs for CCBF that motivate consumers and customers to engage with our brands in ways like never before. These strategies and programs are designed to maximize consumer and brand value creation, and in the process help optimize volume, share, and profits for our company and for our customers. Jay was most recently the Vice President of Global Relationship Marketing at Disney Parks. In this role, Jay drove innovative partner-based marketing strategies and programs that supported Disney theme park destinations, Disney Cruise Line, as well as other Disney vacation destinations worldwide. Jay’s 27-year experience spans several different industries and business environments. Prior to being at Disney, he was the Vice President of Marketing for Day-Timers Inc., a Fortune Brands Company. He also held Brand Management roles at Johnson & Johnson and Heinz Foods, where he began his marketing career. three sons where he is an active member of his church and local community. Company, Mr. Gentry served as Director of Marketing and Market Development Manager. Mr. Gentry graduated from Vanderbilt University with a BA in Economics and holds an MBA from Vanderbilt’s Owen Graduate School of Management. Please join us in congratulating Sally Forsyth in her new role of Vice-President, Enterprise Planning and Analytics. In this role, Sally will be accountable leading our enterprise planning function, including the analytics team that will provide data and business insights for the CCBF journey to becoming a 21st century bottler. Sally’s expertise and experience will lead us in creating the right processes and capabilities to ensure we build commercial and operational plans that enable us to achieve the right business results. Sally has been providing excellent work in strategy and planning for CCBF since May 2015 as Director, Business Transformation. In her new role she will continue to report to Thomas Benford, Executive Vice-President and Assistant to the Chairman. Sally’s deep experience positions her perfectly for this role. Previously she served as Senior Director of Finance Transformation at Coca-Cola Refreshments (CCR), where she led finance activities related to the transition of territories from CCR to independent bottlers. Prior to that, she was the Region Controller for CCR’s Southeast region. Her experience includes a robust variety of finance, planning, and transformation roles, as well as Sales Center Manager at Brevard, Florida. Sally is a graduate of the British Columbia Institute of Technology and a Certified Management Accountant of B.C. As a lifelong learner she has completed numerous educational programs on strategy and leadership. We are pleased to announce that Erin Black has joined the CCBF team as Director – Environmental Health, Safety and Sustainability. Ensuring the health and safety of our associates, as well as protecting the environment are business priorities for CCBF. Erin’s experience will lead us as we define what health, safety, and environmental sustainability should look like for a 21st Century Bottler, and we set out to achieve those goals. In her new role Erin will develop and implement programming focused on natural resource conservation and efficiency projects. She will also develop content for our health and safety programs, as we work to eliminate injuries and accidents. Erin will report to Thomas Benford, Executive Vice-President and Assistant to the Chairman. Erin previously served as Vice-President – Environmental Health, Safety, and Sustainability at Coca-Cola Refreshments (CCR). Her role included providing strategic leadership for all risk management, environmental health/sustainability, health and safety matters for CCR’s plants and distribution centers in North America. Prior to joining CCR, she was Senior Global Technical Director for Kellogg’s in Battle Creek, Michigan, where she provided technical direction and guidance on environmental, safety, and health processes and programs. She also served as Director of Environmental Health, Safety and Security for Sara Lee Corporation. Erin is a graduate of Georgia State University’s Institute of Environmental Leadership. She holds a Master of Science degree from Drake University in Adult Learning, Performance and Development, and Bachelor’s degrees in Industrial Safety and Business Management from Keene State College (New Hampshire).